Hey, Guys, I’m again here to tell you something new about iPhone. Today I will tell you a trick to play iPhone videos on TV. How to play i-phone videos on TV. You can connect iPhone to Samsung, Apple TV or any other TV. You can connect iPhone or iPad to TV using USB cable, Wireless, AirPlay, and mirroring. Are you tired watching movies or videos on a small screen? Don’t worry because now you can connect your iPhone to TV and watch all your favorite videos or movies on TV. I will share 4 best methods to play iPhone videos on TV. These methods consist of every possible way to play iPhone videos on tv. You can connect your iPhone to TV using USB cable. All you need to do is attach USB to both iPhone and TV. You need to have a suitable USB which connects both iPhone and TV at the same time. You need Apple Audio Video Adapter. I would personally suggest you to buy Apple Lightning Digital AV Adaptor. Now, connect your iPhone to TV using Apple AV Adaptor. Note: You will need HDMI cable and adaptor to connect your iPhone & TV. Connect your iPhone from the bottom and you will find HDMI port on TV at back. Now, turn on your TV and take it to HDMI mode. You will see your iPhone or iPad is connected to TV. Now, you can play videos on TV. Play all kinds of Movies, Video or Photos on your TV Choose your favorite video & play that video. Home-screen will disappear and you can play your desired video. In some cases, you may find some problem in playing your Videos. Some videos are locked and unable to play on TV. But, If you change the settings of your iPhone. Then, you can play any of your desired videos. I would say spending $40 to $50 on AV Adaptor is a good deal. You can view all your favorite videos to a much bigger screen. 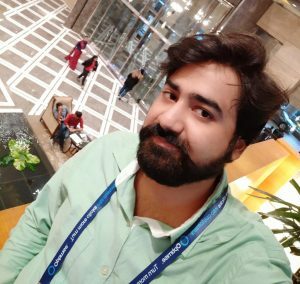 I have just shared a trick to, connect iPhone to TV with USB. But, it has one major disadvantage. As you, all know the length of a cable is too short and if you want to play a random video. Then, you need to grab your iPhone and select the video to play. But in this method, you can connect iPhone to TV wireless. You can sit on your couch and play iPhone video on TV. You don’t need any USB cable. Just sit and play videos from your iPhone to TV. Connect your iPhone to a Television via DLNA app. DLNA is Digital Living Network Alliance. Download your desired DLNA app and allow all the permission. Now, connect your iPhone to TV and watch videos on TV. In some cases, the DLNA app will automatically get connected to TV. You can watch all kind of movies, photos or all kind Audio Video data on TV. If you own an iPhone. Then, you must be familiar with word Airplay. It is an inbuilt DLNA which let you broadcast your video or even live recording to Apple TV. All you need is iPhone, Apple TV, and WiFi. Play any video on your iPhone. You can even play videos from YouTube or safari browser. 4- Miscellaneous features like torch, calculator and etc. You just tap on AirPlay. Now, select the Apple TV. Now, Swipe the screen to the bottom to hide the control. Now, just tap on the AirPlay icon and watch the live streaming of your video on Apple TV. These days several companies are coming with their own AirPlay apps. You can directly tap on them to play their live streaming on your TV. Mirroring mean when you are showing the same thing in another device. You are familiar with the word Mirror. The word Mirroring comes from that. 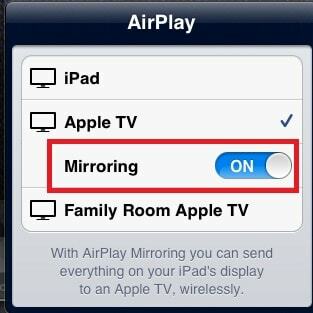 You can directly connect your iPhone screen mirroring to TV. This helps you in connecting your device to almost any TV. Now, down to upward as we did above. Now, tap on the Mirroring. Now, whatever you see on your iPad or iPad that will be automatically shown on your Apple TV. These four methods are best and easy to understand. In this trick, I have shared almost every possible way to Play iPhone Videos on TV. If you still face any problem. Then, don’t forget to comment below and share this article with your friends.